The roaring success of the relatively new Instagram Stories has been a fun one to watch. Today, there are more than 500 million users who upload or interact with Stories every single day. There’s something to be said for getting a brief snapshot into the lives of our favorite celebs and brands, but the temporary nature of Stories means those glimpses are lost forever after twenty-four hours. Unless they’re added to the highlights reel, that is. Highlights show up just under a user’s profile blurb as a collection of tappable circles that save and display Stories in a longer-term way. 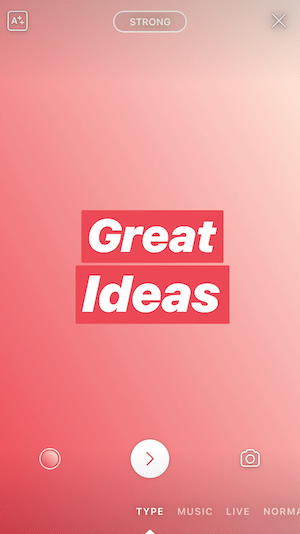 For example, if a brand has a several Stories about different recipes, they can file those under a “Recipes” highlight, which means their followers can go there and see all the relevant Stories whenever they want — even past the 24-hour lifespan. 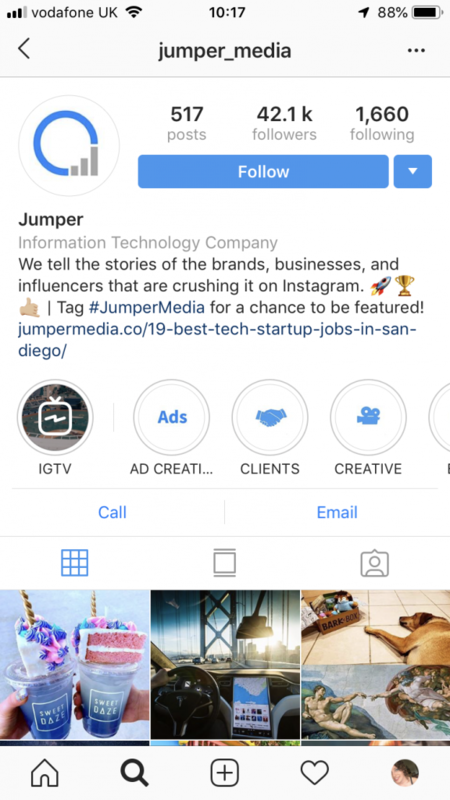 Because Instagram is such a visual platform, the thumbnails that become the circular Covers for the Story highlights have become a way to add a dash of branding to your profile. According to research by Hubspot, users spend around 20-30 minutes on Instagram Stories every day. This gives them plenty of time to browse your products, get to know a bit more about you and, ultimately decide to buy something. 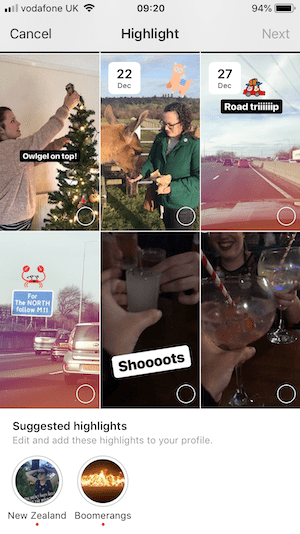 Instagram Highlight Stories let you keep your best-performing Stories around for longer to keep working their magic. The covers for those Story highlights are one of the first things people see when they land on your Instagram page, and we all know how important first impressions are. The collection of Story covers you have gives users quick insight into what your business is about while also showcasing your unique branding so that it sticks in their heads. 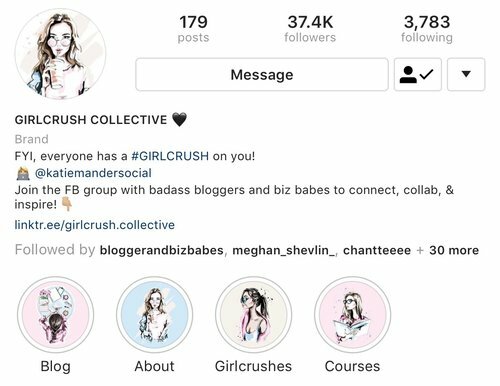 So, Instagram Story covers => important, but, how do you get started? To craft the perfect Story covers, you need to have a few Highlight collections already set up. 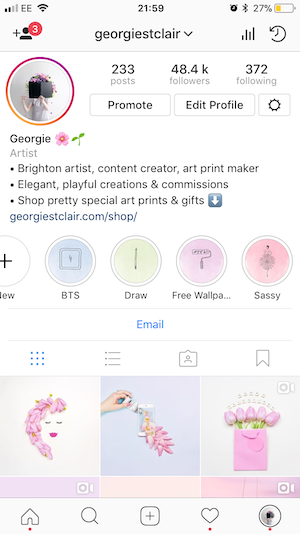 Go to your Instagram profile and, just below the bio text about you, there’s an option to Create a new Highlight. Here, you can select a few Stories to add to your new highlight. When you click “next,” you’ll be taken to a screen where you can choose a cover image. 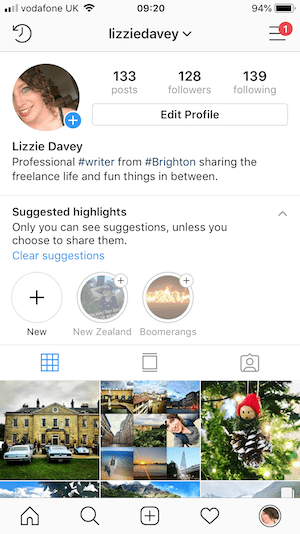 As a default, Instagram will select one of the Stories you’ve chosen to act as a cover, but don’t fret — you can get more creative after you’ve set up your Highlight segment. If you’re ready to take this seriously, you can then create a cover, especially for the occasion. Feel free to flex those creative muscles. 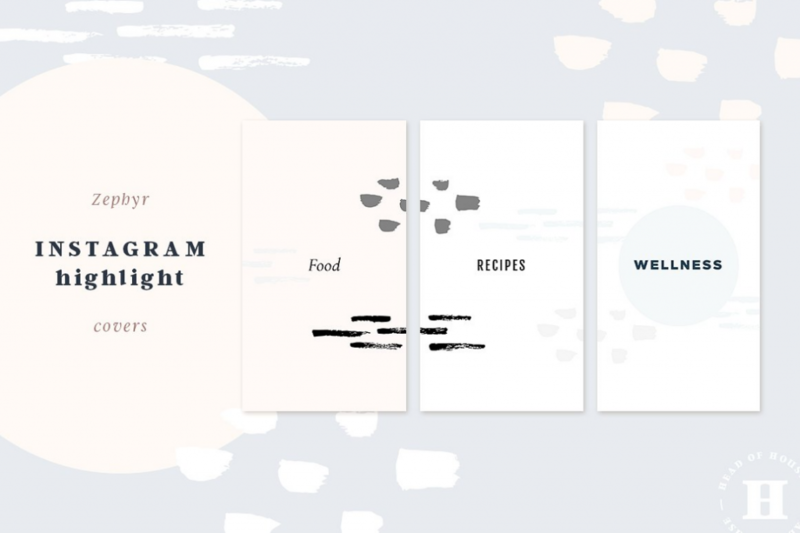 Add a logo, icons, script or an image to your design or, if you want to keep it simple, choose the “type” option in Instagram Stories to create a text-based cover ( more design tips below ). 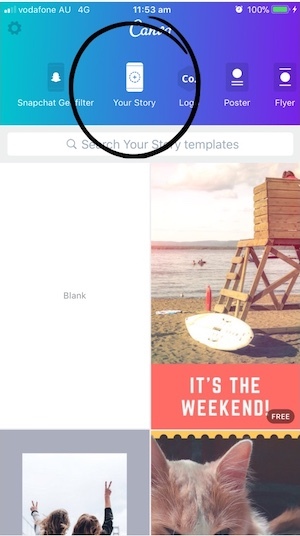 You have to post your design to your Stories and then, once it’s live and out there for all to see, you can go back into it and click the “highlights” button at the bottom to save it. There, you can choose which Highlight category you want it filed under. When it’s been sent to that category, go back to your profile and navigate into the new Highlight to edit the cover. Once you’re into editing mode, you’ll be able to add your new Story as the cover image. Voila! You’re starting to ‘Gram like a pro. Rinse and repeat until you have a collection of branded, eye-catching Story covers to capture the attention of your followers. Instagram’s a visual platform, so making your Instagram covers stand out is pretty important. You want users to be actively drawn to click on those round little windows into your soul, so half-jobbing it isn’t an option. “But I’ve got the worst eye for design in the world!,” You say. Don’t fear you’ll create something only Frankenstein’s monster would love if you go solo on your cover design; there are plenty of tools you can use to make the process a lot easier. Canva is a great place to start designing your story covers. This design-for-dummies tool even has a “Stories” template option with loads of pre-made designs that you can customize to fit your brand. Just choose the one you like the most, change up the text and colors, and ta-da! You have yourself a decently-professional looking Story cover. Foundr Magazine gets it spot on with their Instagram Story covers. 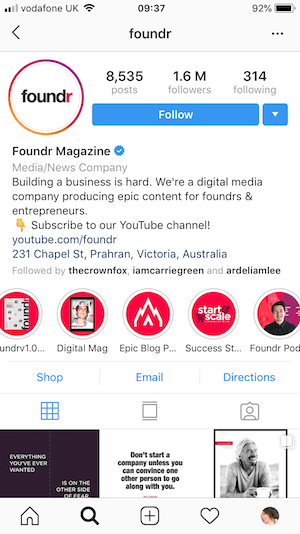 They use the bold red of their brand so users instantly know that it’s Foundr Magazine they’re dealing with. And, although each cover is slightly different, they all have a similar style — a bright background topped with a stand-out icon. They key here is to tie your covers back to your brand with all your visual tools: color, style, and content. Don’t go totally off track into yellow flowery covers if your logo is geometric black and white. You can mix and match your brand colors, though. 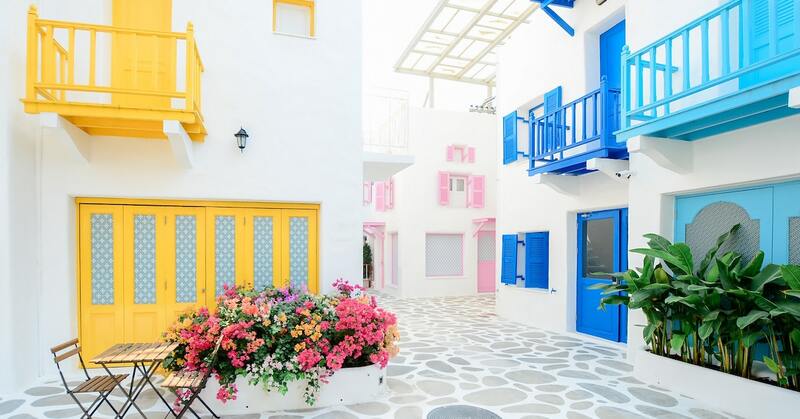 For example, if your branding is a pastel mix of pale colors, you might have one cover that’s pink, one in light blue, and one in baby yellow. If you want to display text on your covers, it’s a good idea to set any wording in your brand’s chosen fonts to keep things consistent. 3) To Icon or Not to Icon? 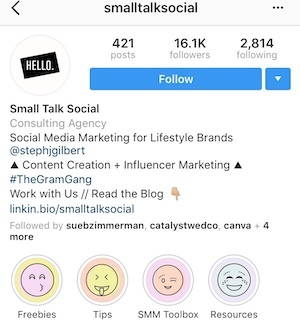 You’ll notice that tons of brands are using graphic icons in their Story covers. Take Small Talk Social, for example, who has a series of different emojis as their cover icons. Incorporating this kind of design into your covers is totally optional; you might want to stick solely to text, or you might want to just choose a color for the circles and let the titles of each Highlight section give users the information they need. But if you do decide to go for the icons, you can either get them custom made (got a designer on speed dial?!) or download a pack online. Sites like Creative Market have tons of cover icon packs in different colors, styles, and designs, so there’s bound to be something that fits your brand. 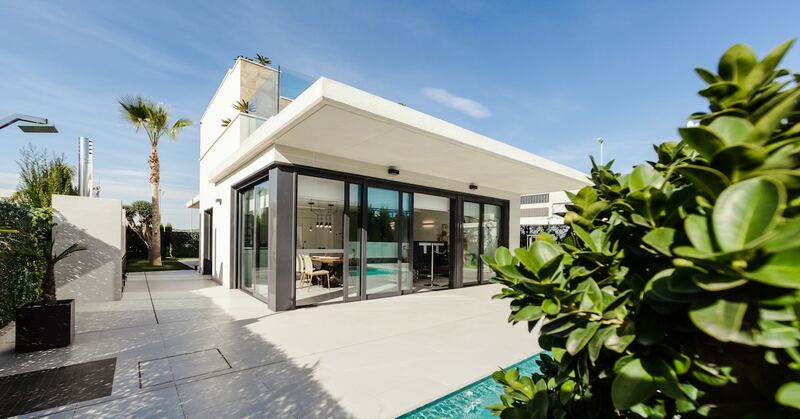 The most important thing is to keep things … consistent. 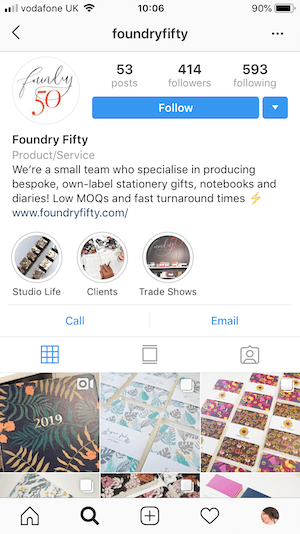 Foundry Fifty uses simple images as their Story covers which, while they’re pretty nice pictures, don’t feel as impactful as the red examples earlier from Foundr Magazine. Again, this is where your sense of branding comes in. If you use a limited color palette and create each cover in the same style, your display of covers will look more cohesive. To get your creative juices flowing, let’s take a look at some awesome Story cover inspiration from a range of different brands. Here, Sveet Eskapes uses the same background on each cover with an icon to differentiate each from the others. Notice how all of the icons are in a similar design style, giving it a thematic feel. 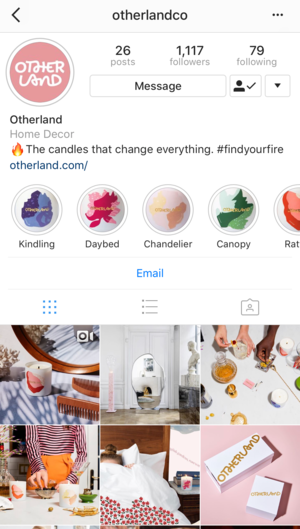 Georgie St Clair uses the breadth of her color palette and simple line-drawing icons to create a series of covers that, though not matching, all fit her branding to a T.
Otherland is another brand that uses multiple colors on their covers. However, they made their icons in a similar design to create that all-important consistent feel. Girlcrush Collective does the same. The backgrounds of their covers are different pastel colors, but the illustrations all fit together. Like most brands, they use the title of the Highlights sections to convey what each reel is all about, instead of text in the circle. Shake Shack keeps things super-duper simple by making their story covers look just like their logo. 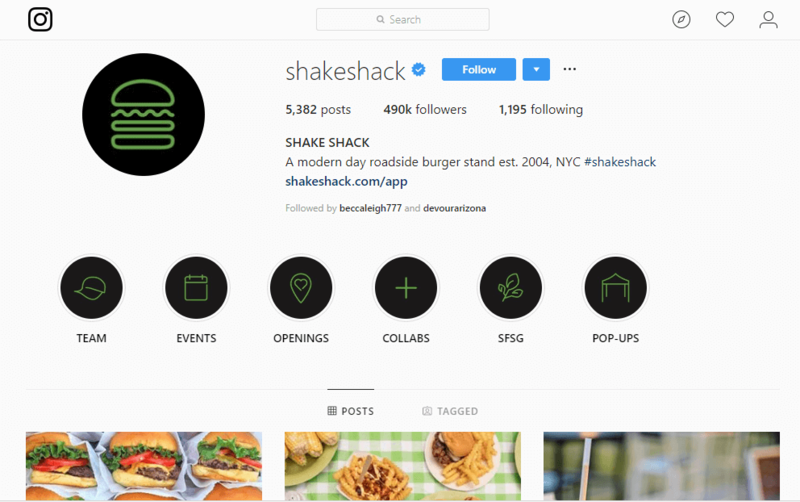 The black background and lime green line drawing style for each of the covers lets users instantly know that it’s part of the Shake Shack brand. H&M does things a little differently. They don’t incorporate icons into the covers, like most of the other examples here. Instead, they use imagery as a background and overlay text to convey what the Highlight reel is about. Notice they’ve switched it up with the titles of the highlight sections, using very basic icons instead of words underneath for a fun flip-flop. 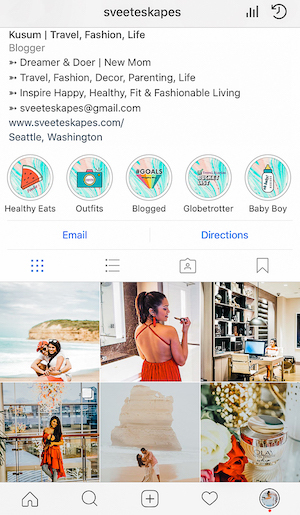 With the popularity of Instagram Stories unlikely to fade any time soon, it’s important to get your brand in the game. If you haven’t already created Highlight reels, what are you waiting for? These segments allow your followers to deep dive into your brand, learn more about you, and browse your offerings. 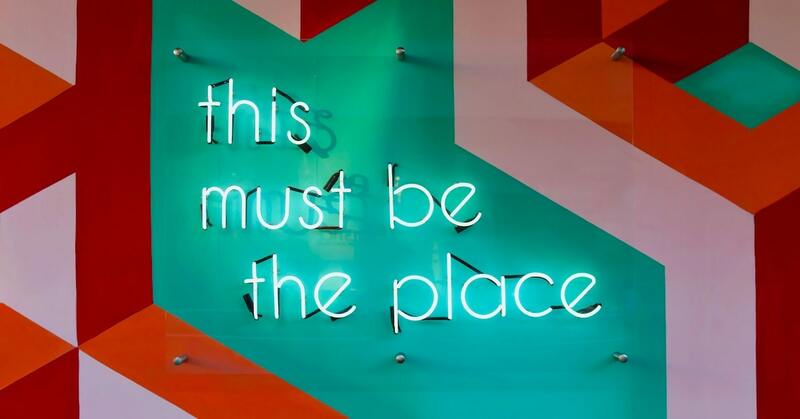 To make them stand out, you need to create eye-catching covers that fit your brand, whether that’s choosing just the right color and font, or more in-depth graphic design using Canva, Photoshop or Instagram. Now that you know what to do, let’s see what you come up with! Think your highlight covers are already the bomb?